I finally got a chance to try the much lauded Heady Topper back in December and it truly exceeded my expectations for such a hyped beer. Unlike my experience with Zombie Dust, the hype is real with this one. 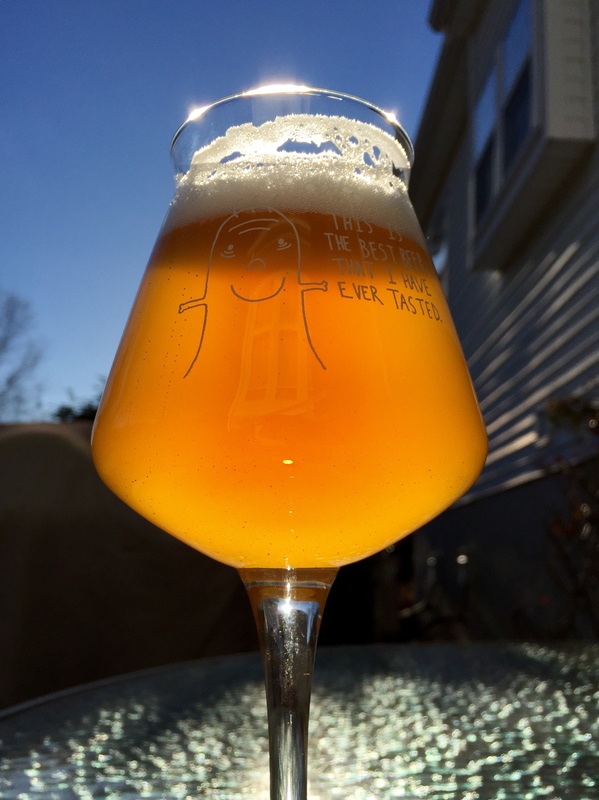 I’ve had beer brewed with Conan yeast in the past so I had an idea of what it would do in something hoppy and American, however I never had an opportunity to try it for myself in my own beer. By following a guide, I cultured up the yeast from dregs left at the bottom of the can, and after a week I had a healthy sized pitch waiting to meet some fresh wort. I originally planned to make a Hop Hands inspired beer, but a great sale on a random assortment of hops popped up and I couldn’t resist placing an order. What arrived was a plethora of somewhat esoteric German hops. 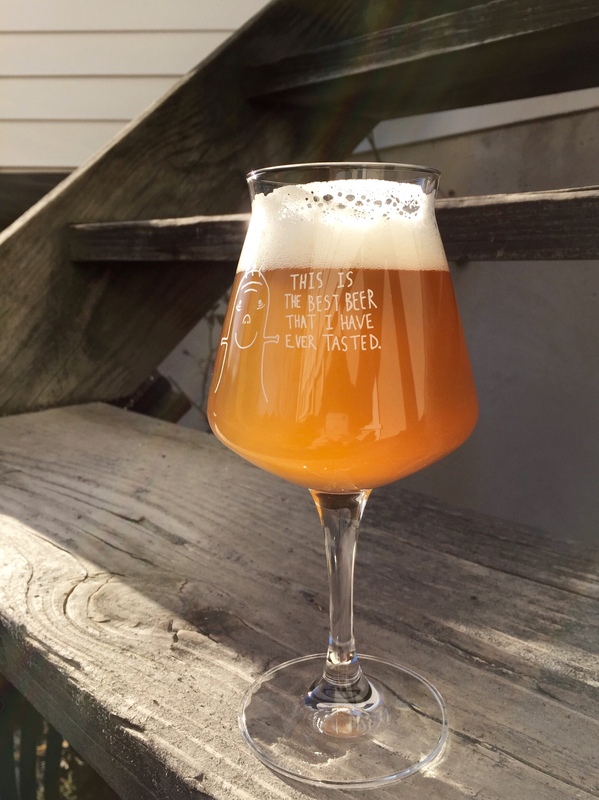 Rather than making something American and hoppy like I usually do, I used some of the German hops to make a Kolsch-like beer that instead turned out to be a hoppy German pale ale thanks to Conan! This beer originally threw me for a loop when I first tasted it. Even as I cultured it on a stir plate, Conan gave off an amazing apricot and peachy smell that turned distinctly Belgian, spicy phenols and all, as time went on. The first week in a keg it tasted and smelled not unlike a saison mixed with the flavor of a clean American yeast, then followed by a German hops. Definitely strange to say the least, but in a good way! As it conditioned more, the Belgian qualities dropped off and gave way to the characteristics people expect from Conan, namely lots of peach, apricot and orange. I made everyone I encountered try this beer in order to describe the aromas and flavors they got from it since I almost could not describe it myself. What followed was a mishmash of familiarities, a lot of “like this, but not”s, yet no one could pinpoint what came from where and why. “Almost like a traditional hoppy pale ale but not American…” “Sort of a familiar German taste but not like a lager…” Even I don’t know what category this beer belongs in. All I know is that it’s unlike anything I brewed before and it’s delicious. Right of the bat it smells amazing. Orange marmalade, clementine, peach, grapefruit, honeydew, vanilla (?! ), and honey. Seriously, this beer smells like a melted creamsicle. How is that even possible? It’s an incredible marigold color that’s hazy but not at all murky. It pours with a fluffy white head that sticks around for a while to finally settle into a nice ring that leaves great lacing all down the glass as you drink it. It tastes surprisingly hoppy, but not in an American way, yet it’s still citrusy and a tad spicy. You can tell that German hops were used in this beer, yet somehow the overall flavor comes off as American. A touch of bready malt rounds out the end of the sip. This beer is a showcase of hops and yeast. There’s just the right amount of bitterness. It’s there, but it isn’t overbearing at all. You want to drink more of it right after you swallow. The carbonation is right on for this beer. Bubbles keep it lite and super drinkable without being effervescent. It has a good body but it isn’t thick. As for mouthfeel, Conan keeps it airy, but it doesn’t come off as thin and dry like some beer. This beer is incredibly familiar, but distinct at the same time. It’s unlike anything I’ve had before, yet somehow all the flavors aren’t foreign to me. It’s juicy in a German way (what a sentence!) Creamiscley aroma mixed with spicy and citrusy hops. I really don’t know where the yeast ends and the hops begin, a common sentiment when it comes to beer brewed with Conan. I did not expect much from this beer when I was conceptualizing it, but it has come to be one of my favorites thanks to such an incredible yeast. I could drink pints of this all day long and I’ll miss it once it’s kicked. I’ll take a pint right now! I’ve currently got 2 xBmt beers fermenting with TYB Vermont (Conan), Pale Ale, I can’t wait to get them kegged. I know some prefer hazy, but a dose of gelatin while cold crashing will clear even Conan fermented beers right up without a significant negative reduction in flavor or aroma. Cheers! I actually dosed the keg with some Biofine and it didn’t seem to do much! I’ve used gelatin in a few of my previous batches and the results have always been great but I actually prefer that wonderful haze in juicy beers like this.